Rupee recovered boosted by gains in the domestic share market while some also cited dollar selling by large state-run banks which could be on behalf of the central bank. The unit, however,dropped on the week, posting its third straight weekly fall, as investors pared positions amid the ongoing national elections. Foreign funds sold Indian shares worth 446.9 million rupees($7.4 million) on Wednesday, provisional exchange data showed, marking the third consecutive session of outflows. The Reserve Bank of India fully sold the 200 billion rupees ($3.31billion) worth of bonds on offer at its biggest auction ever, sparking strong gains in debt markets. The RBI set the cut-off price for 8.35 percent 2022 bonds at 95.45 rupees, yielding 9.1584percent, while the cut-off price for 8.24 percent 2027 bonds were set at 92.05 rupees, yielding 9.3122 percent. Most emerging Asian currencies too edged up as the dollar eased broadly after U.S. Federal Reserve Chair Janet Yellen’s dovish comments on monetary policy, while trading was subdued ahead of a holiday in some markets. The partially convertible rupee close dat 60.29/30 per dollar compared with 60.37/38 on Wednesday. In the offshore non-deliverable forwards, the one-month contract was at 60.76 while the three-month was at 61.53. Technically market is under long liquidation as market has witnessed drop in open interest by -2.46% to settled at 238289 while prices down -0.045 rupee, now USDINR is getting support at 60.4075 and below same could see a test of 60.265 level, And resistance is now likely to be seen at 60.6425, a move above could see prices testing 60.735. 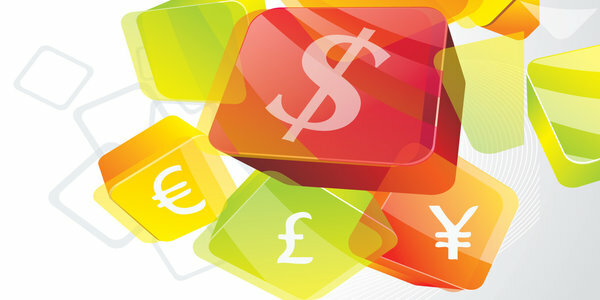 Euro seen supported as dovish comments by Federal Reserve Chair Janet Yellen curbed investor demand for the greenback. Germany’s producer prices dropped for an eighth successive month in March and at a faster than expected pace, data from Destat is showed. The producer price index (PPI) fell 0.9 percent year-on-year in March, same as in February. Producer prices have declined every month since August last year and the biggest fall in the cycle was in January, when they dropped 1.1 percent. Prices of consumer non-durables rose 1.3 percent, while those of intermediate goods and energy declined 1.9 percent and 2.6 percent, respectively. The report came a day after data confirmed that the annual rate of euro zone inflation slowed to0.5% in March, the lowest since November 2009. The dollar softened after Fed Chair Janet Yellen said that monetary policy will need to remain accommodative for some time, citings lackness in the labor market and low inflation. Ms. Yellen said the risks of persistently low consumer prices outweighed those of high inflation. She added that the central bank expects the U.S. unemployment rate to fall back between 5.2% and 5.6% by the end of 2016. The U.S. unemployment rate currently stands at 6.7%. 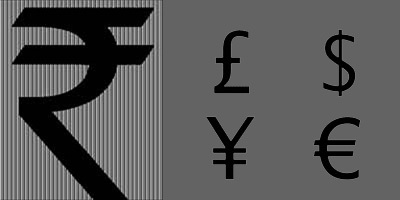 EURINR settled up 0.07% at 83.75, technically market is under short covering as market has witnessed drop in open interest by -0.88% to settled at 17318 while prices up 0.0575 rupee, now EURINR is getting support at 83.5725 and below same could see a test of 83.3825 level, And resistance is now likely to be seen at 83.89, a move above could see prices testing 84.0175. GBP rose after upbeat U.K. employment data fuelled expectations that the Bank of England will raise interest rates ahead of other central banks. The pound strengthened after data showed that the U.K. unemployment rate fell to a five year low of 6.9% in the three months to February. The report came a day after data showed that the annual rate of consumer inflation in the U.K. fell to 1.6% in March, indicating that wages are growing faster than price increases for the first time since the height of the financial crisis in 2008. The upbeat data bolstered the outlook for the wider economic recovery and prompted investors to bring forward expectations for a rate hike by the BoE to the start of next year. The U.K. unemployment rate fell below the 7 percent threshold to a five-year low in February and average earnings finally moved above inflation reducing the squeeze on household finances. The jobless rate came in at 6.9percent of the labor force in three months to February, the lowest since February 2009, data from the Office for National Statistics showed. The rate was below the 7.1 percent logged in the September to November period, and the 7.9 percent posted in the three months to February 2013. Technically market is under fresh buying as market has witnessed gain in open interest by 1.93% to settled at 10109 while prices up 0.0125 rupee, now GBPINR is getting support at 101.295 and below same could see a test of 101.155 level, And resistance is now likely to be seen at 101.74, a move above could see prices testing 102.045. Yen gathered strength after remarks by the Bank of Japan governor and Chinese data underlying the tone of trade. The Bank of Japan will adjust its monetary policy when needed, Governor Haruhiko Kuroda said. The bank will continue with quantitative and qualitative easing to achieve the price stability target of 2 percent, he said in a speech to a quarterly meeting of branch managers. Kuroda said the bank will examine both upside and downside risks to economic activity and prices, and make adjustment as appropriate. Confidence among Japan house holds declined to the lowest since August 2011, a monthly survey data from the Cabinet Office showed. The consumer sentiment index fell to seasonally adjusted 37.5 in March from 38.5 in February. The survey was conducted on March 15. The Bank of Japan upgraded its economic view of one region and maintained the assessment on eight other regions. In January, the bank raised its assessment for five regions and left its view on four regions unchanged. Compared to January, bank’s assessments on eight local economies regarding the pace of economic improvement had remained unchanged, BoJ said. In its quarterly Regional Economic Report, the BoJ said all nine regions reported that the economy had continued to recover or had been recovering moderately as a trend. Technically market is under short covering as market has witnessed drop in open interest by -2.42% to settled at 3069 while prices up 0.0175 rupee, now JPYINR is getting support at 58.985 and below same could see a test of 58.9225 level, And resistance is now likely to be seen at 59.2625, a move above could see prices testing 59.4775.